Dr. Guelpa is always looking for ways to improve patient comfort and safety while providing the highest quality possible. By staying abreast of constantly improving dental techniques and by utilizing the latest technological advances, Dr. Guelpa and his staff provide patients with the best that modern dentistry has to offer. 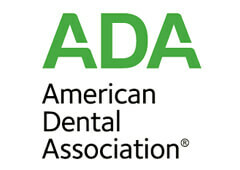 The use of lasers in dentistry, while more common every day, is available in only 2% of dental offices in the U.S. Lasers expand treatment options and give us the unparalleled ability to perform cosmetic treatments that can significantly improve your smile. With the use of the laser, Dr. Guelpa can reshape and contour gums to create a more aesthetically pleasing smile in a simple, relatively painless way without any tooth preparation. When used for oral surgery, lasers reduce the need for anesthesia and decreases the incidence of bleeding. Dr. Guelpa often uses the laser for soft tissue procedures, including treatments for gingivitis and periodontitis. Using the laser in combination with antibiotic gels to aid healing of infection, Dr. Guelpa can often help you avoid painful traditional gum surgery while restoring health to your mouth, teeth and gums. No drill dentistry! At Dr. Guelpa's practice, you need not fear the drill. 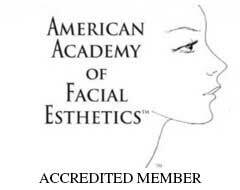 Dr. Guelpa uses air abrasion to remove decay. No noise. No vibration. And, no need for painful anesthesia that leaves your mouth numb for hours. Using compressed air together with an abrasive powder, the Air Abrasion system makes going to the dentist for a filling a breeze. With your health, safety, and convenience in mind, Dr. Guelpa uses digital radiography, or digital x-rays, instead of traditional analog x-rays . Digital x-rays emit just 10% of the radiation that old-fashioned x-rays do, which is a significant safety improvement. Moreover, digital x-rays are ready in an instant for viewing on the computer monitor conveniently located in the treatment room. There, you and Dr. Guelpa can discuss diagnostic options in a thorough and efficient manner. Dr. Guelpa looks to LVI Certified Technicians for his laboratory work. 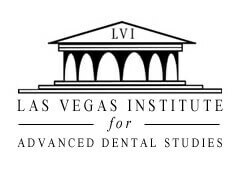 He knows that the LVI certification process is rigorous and requires dedication to excellence. With Dr. Guelpa, you can rest assured that you are receiving superior dental care in-office and the highest quality porcelain veneers, crowns, and bridges. Your smile deserves nothing less. Please contact Dr. Guelpa's practice today for more information or to set up a personal consultation.